From the holiday classic, "It's a Wonderful Life," this 18"x18" sign can be fitted to hang beautifully in your home. Select "Wings Sign" on our order form. 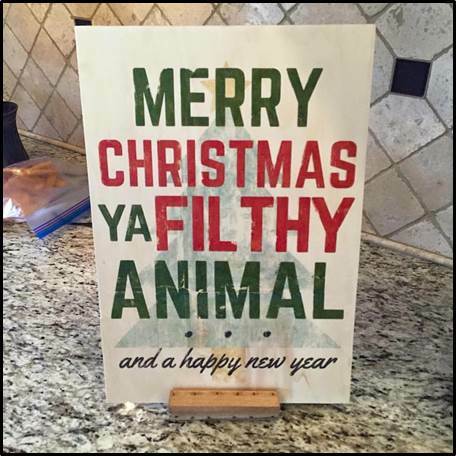 We're also offering a Christmas sign from "Home Alone" that says "Merry Christmas Ya Filthy Animal and a Happy New Year." Perfect for the Home Alone loving family (like us!). If your family has a favorite holiday movie quote, bible verse, or saying, we'd love to customize a sign for you!